After the first two books I was really looking forward to reading this one. There was a stab of disappointment when I saw the cover when I picked it up off the shelf. The other two had a certain something that this one just doesn't. 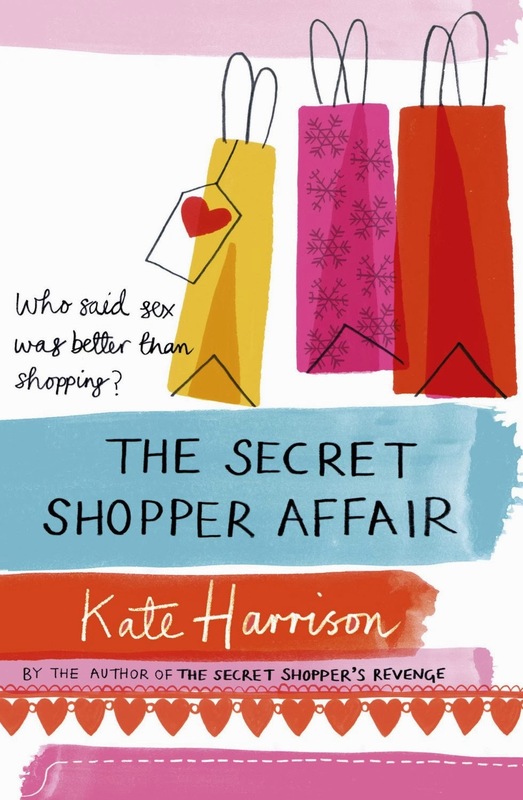 After the last two books the three friends have left their secret shopper past behind them. The things that kept them together have fallen by the wayside. Sandie is pregnant by Toby, Grazia has said goodbye to the great love of her life and is embracing an long-forgotten skill, Emily is still with Will in Heartsease working in and living above their homemade shop. Emily wants to be pregnant, Will has put a kibosh on that one for the foreseeable future. Emily is starting to become more and more resentful of the time that the shop demands from herself and Will. From the outside Sandie appears to have it all. The climbing career, the heir to Garnetts as her boyfriend and a new home being renovated. However, Sandie is struggling. The house looks like it won't be ready in time for the baby's arrival, Toby's family's empire is crumbling around their ears and Emily is just draining her. Grazia has finally stepped out from her late husband's shadow, and stepped into the arms of a loving man - with teenage children. She quickly finds her stride as the relationship looks like it could blossom into something more. Can these friends make their way back to each other or are they destined to float ever further apart?